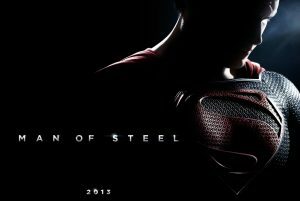 ‘Man of Steel’ Will be 3D!!! The upcoming Superman film, ‘Man of Steel’ has jest been given the go ahead to be released in 3D. Smart movie, since 3D ticket prices are significantly higher than normal movie ticket prices. And with these big epic superhero films, they all want to milk every last penny . Since Avengers (was in 3D) made over $1 billion and Dark Knight Rises (not in 3D) did not so easily, I think all studios want the extra cash. Like I said, it’s smart, but not necessarily a great move. Out of the 100 or so films I have seen in 3D, only two or three of them really made a difference being in 3D. I doubt this one will as well. However, if you are a fan of the format, then this should excite you. Warner Bros. Pictures and Legendary Pictures announced today that director Zack Snyder’s upcoming action adventure “Man of Steel” will be presented in 3D in select theaters, as well as in 2D and IMAX®, so fans of the iconic superhero will be able to experience the much-anticipated movie in their format of choice. The film stars Henry Cavill in the role of Superman/Clark Kent, alongside three-time Oscar® nominee Amy Adams (“The Fighter”), Oscar® nominee Michael Shannon (“Revolutionary Road”), Academy Award® winner Kevin Costner (“Dances with Wolves”), Oscar® nominee Diane Lane (“Unfaithful”), Oscar® nominee Laurence Fishburne (“What’s Love Got to Do with It”), Antje Traue, Ayelet Zurer, Christopher Meloni, Harry Lennix, Michael Kelly, Richard Shiff, and Academy Award® winner Russell Crowe (“Gladiator”). “Man of Steel” is produced by Charles Roven, Emma Thomas, Christopher Nolan and Deborah Snyder. The screenplay was written by David S. Goyer, from a story by Goyer & Nolan, based upon Superman characters created by Jerry Siegel & Joe Shuster and published by DC Entertainment. Thomas Tull, Lloyd Phillips and Jon Peters are the film’s executive producers. Warner Bros. Pictures presents, in association with Legendary Pictures, a Syncopy Production, a Zack Snyder Film, “Man of Steel.” The film is slated for release on June 14, 2013 and will be distributed worldwide by Warner Bros. Pictures, a Warner Bros. Entertainment Company. First Image of Ben Affleck as Batman!! This entry was posted on Wednesday, November 7th, 2012 at 9:23 pm	and is filed under Comics, Film, News. You can follow any responses to this entry through the RSS 2.0 feed. You can skip to the end and leave a response. Pinging is currently not allowed. « There’s Good News and Bad News for The Upcoming Live-Action ‘Hercules’ Film!!! The hotel, the casino. The Corleone Family wants to buy you out. The Corleone Family wants to buy me out? No, I buy you out, you don't buy me out. Your casino loses money, maybe we can do better. You think I'm skimmin off the top, Mike? [Michael shakes his head] You're unlucky. You goddamn guineas you really make me laugh. I do you a favor and take Freddie in when you're having a bad time, and now you're gonna try and push me out! You took Freddie in because the Corleone Family bankrolled your casino, and the Molinari Family on the Coast guaranteed his safety. Now we're talking business, let's talk business. Yeah, let's talk business, Mike. First of all, you're all done. The Corleone Family don't even have that kind of muscle anymore. The Godfather's sick, right? You're getting chased out of New York by Barzini and the other Families. What do you think is going on here? You think you can come to my hotel and take over? I talked to Barzini - I can make a deal with him, and still keep my hotel! Aw, now that, that was nothin', Mike. Moe didn't mean nothin' by that. Yeah, sure he flies off the handle every once in a while, but me and him, we're good friends, right Moe? I got a business to run. I gotta kick asses sometimes to make it run right. We had a little argument, Freddy and me, so I had to straighten him out. You straightened my brother out? I leave for New York tomorrow, think about a price. Sonofabitch! Do you know who I am? I'm Moe Greene! I made my bones when you were going out with cheerleaders! Now hold it right there. The Don is semi-retired and Mike is in charge of the Family business now. If you have anything to say, say it to Michael. [Moe Greene leaves] Mike! You do not come to Las Vegas and talk to a man like Moe Greene like that!